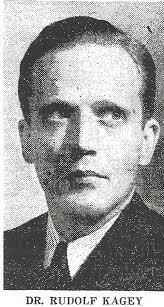 Mystery Monday: Who was Kurt Steel? 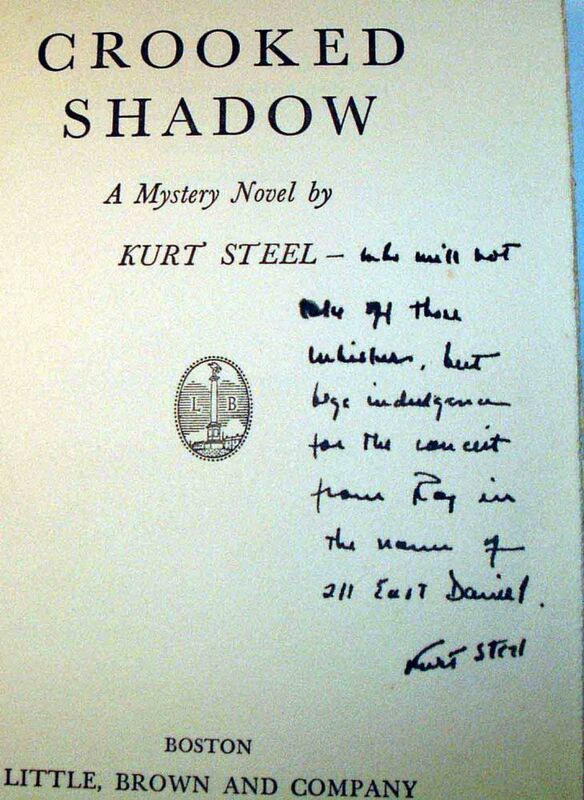 Doesn't Kurt Steel sound like a great name for a Detective? 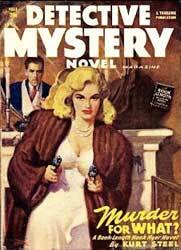 In reality it was the pseudonym for mystery writer Rudolph Kagey who published ten novels between 1935 and 1943. All but one of the books feature Hank Hyer, former welterweight boxer turned private detective. (Now there's an interesting protagonist!). The Hyer series was very popular, and two of the stories were made into movies: Murder Goes to College and Partners in Crime. Born in 1904 in the small town of Tuscola, IL, Kagey grew up in Flint, Michigan where his father was a successful banker with Guaranty Title and Mortgage Company. A professor at New York University, according to The Passing Tramp, Kagey came from a long line of educators. I couldn't find any information as to why he chose to write mystery novels, nor how he managed to get two of them turned into films before he died at the young age of 41. He left a wife and young daughter when he passed away. His "hard-boiled detective" pre-dates Raymond Chandler's Philip Marlowe by a few years. Hank is described on the back cover of the Dell edition of Judas, Incorporated as a "tough and well-muscled private investigator, takes himself and the world with adequate salt, and rarely allows sentiment to intrude upon the fundamentals of life. Hyer likes things stirred up and is not adverse to giving fate a stimulated prod. Only a fat fee check can lure him from Broadway." The only standalone novel Kagey published as Kurt Steel was The Imposter which tells the story of a man who goes up against a Nazi spy ring as he doubles for his double. Here's what the Kirkus review had to say about the book in their July 1942 review: Morgan, key airplane power, finds the corpse of an impersonator in his room, and rightly deciding that the wrong man has been killed, takes on the alias of his impersonator. The alias leads him to a clique of Nazi penetrators, with whom Morgan plays a fast game of ball as he circumvents them. Fancy, fictitious, but fun as these things go." Sounds like we found another great writer from the Golden Age of Detective Fiction.